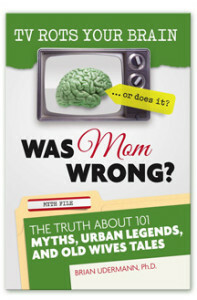 Products | Was Mom Wrong? 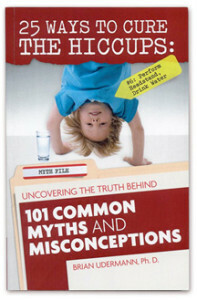 Brian’s book separates truth from hearsay for 101 of the most common exercise, health, nutrition, and general knowledge myths and misconceptions. Personal anecdotes combined with a review of the top research on each topic provides readers with practical explanations that are fun to read and educational for all ages. The topics in this book focus on exercise, fitness, nutrition and general health. Test your knowlege on 101 commonly held beliefs about health and wellness and find out – was your mom wrong?